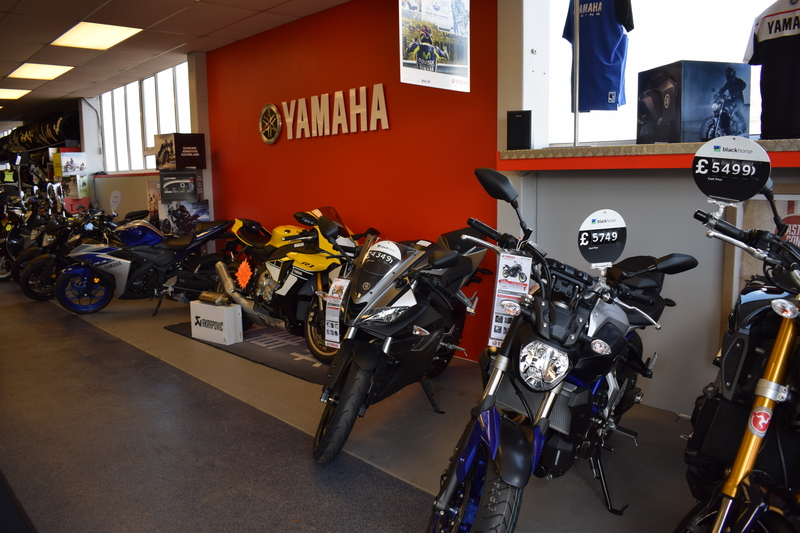 As you would expect from a leading Motorcycle main Yamaha premier dealer, we stock the full range of Yamaha Motorcycles, combined with a good selection of quality used bikes, accessories, clothing and parts. We can offer test rides* on key models from the Yamaha motorcycle range- just give us a call today, and we’ll do the rest. 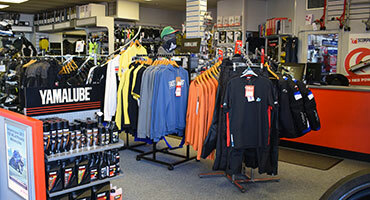 We pride ourselves on holding in stock a large range of Motorcycle clothing and accessories, including genuine Yamaha products as well as the biggest motorcycle spare parts stock in the area. All stocks are fully computerised to offer the best possible service. We can supply motorcycle parts for most mainstream makes and models, just phone us with the chassis number,make, model and year, and we’ll do the rest- our parts staff have over 34 years of experience and truly understand your needs! 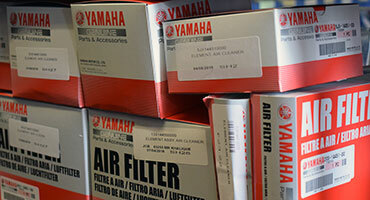 Our fully equipped service department offers service and repairs on most motorcycle makes and models. We have our own in house MOT station, and can offer servicing, M.O.Ts’ & Tyres ( by appointment) all day on Saturday,as well as Tuesday to Friday. Our staff are factory trained, with many years experience in the Motorcycle world. If you are thinking of selling your bike, give us a call for our best price, we are always on the look out for good quality used motorcycles and scooters. We cover all aspects of your motorcycling needs, from motorcycle rider training through to after sales service, including an online shopping facility for those of you who can’t get in to see us. We have always been involved in the Motorcycle racing world, running riders in events from Club racing to the open roads of road racing. Recently we have concentrated on the classic side, and run Olie Linsdell who took the first win in the all new Classic TT premier class. Fed up with congestion, dead time and wallet busting fuel prices? Flitwick Yamaha can make your travels fun, reliable and thrifty with our great range of bikes and scooters, making your travels enjoyable and helping you do what YOU want to do with your time rather than what you don’t! 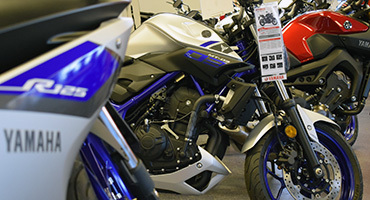 Flitwick Motorcycles are the only authorised premier exclusive Motorcycle dealers and stockists for Yamaha Motorcycles in Bedfordshire UK. We cover Bedfordshire, including Bedford, Luton and surrounding villages, plus Milton Keynes, but are happy to talk to you about your needs nationwide. . We also offer mail order with a fast and efficient delivery process. Established in 1984 we have built a reputation for unrivaled quality, service and customer care. We are a family run business catering for the needs of the discerning motorcyclist, who deserves quality care, coupled with a competitive pricing structure. All our staff are highly trained, to ensure that you are truly looked after.